Clint Bowyer started 16thand finished fifth. Bowyer started slowly, but the No. 14 began moving up as the stage ran without caution. Over the final 40 laps, Bowyer’s was the fastest car on the track. He moved to eighth by lap 75. Passed two more cars in the closing laps to claim fifth at the stage end. Bowyer started fifth and finished second. Moved to fourth on lap 131 and to third 10 laps later. Took over the lead on lap 169. Led 23 laps in a stage that also ran without caution. Held the lead until the final laps of the stage when a loose-handling condition kept him from fending off Joey Logano. Bowyer started third and finished ninth. Moved to second on lap 235 while turning the fastest lap times on the track. Took over the lead for a second time in the race on lap 252. Made a scheduled pit stop on lap 273 for tires and fuel. 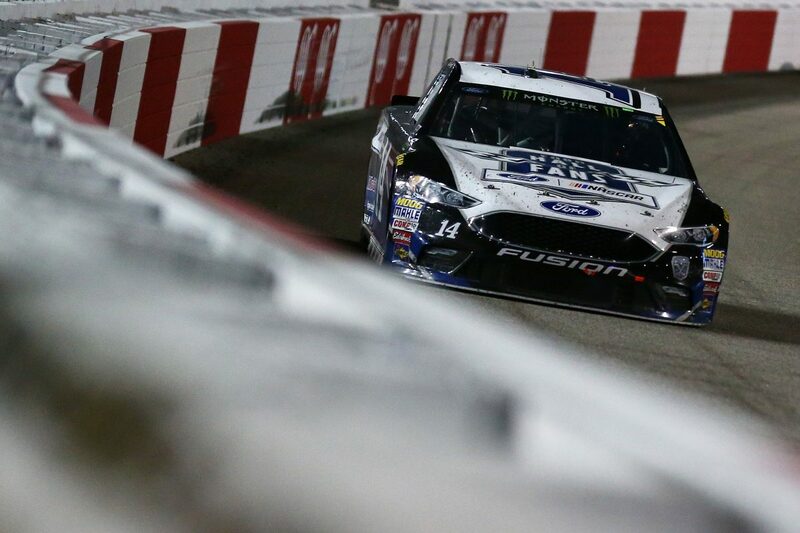 Several cautions in the final laps led to frenetic racing that damaged Bowyer’s Ford and left him with a ninth-place finish. Bowyer finished fifth in Stage 1 to earn six bonus points and second in Stage 2 to earn an additional nine bonus points. This was Bowyer’s sixth top-10 this season and his fourth straight. It’s his 13thtop-10 in 25 career NASCAR Cup Series starts at Richmond. Bowyer led three times for 45 laps Saturday night and has now led 260 laps in 2018. Kyle Busch won the Richmond 400 to score his 46thcareer Cup Series victory, his third of the season and his fifth at Richmond. His margin of victory over second-place Chase Elliott was .511 of a second. There were six caution periods for a total of 46 laps, and there were 16 lead changes among seven drivers. Twenty-three of the 39 drivers in the Richmond 400 finished on the lead lap. The next event on the Monster Energy NASCAR Cup Series schedule is the Geico 500 on Sunday, April 29 at Talladega (Ala.) Superspeedway. The race starts at 2 p.m. EDT with live coverage provided by FOX beginning with a prerace show at 1:30 p.m.